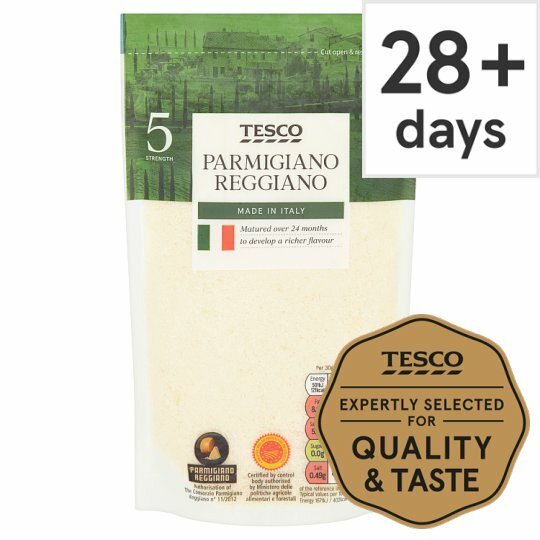 Grated Parmigiano Reggiano PDO cheese made with unpasteurised milk. Strong and rich with a sweet, tangy flavour. Sprinkle over salad or pasta.